Special Chabbis 26 (2013) Review: A Bollywood heist drama film directed by Neeraj Pandey. Starring Akshay Kumar and Kajal Aggarwal supported by Jimmy Shergill, Manoj Bajpai and Anupam Kher. I can still remember the racy screenplay of “A Wednesday” and that was an unique movie amongst all those masala Bollywood flicks. 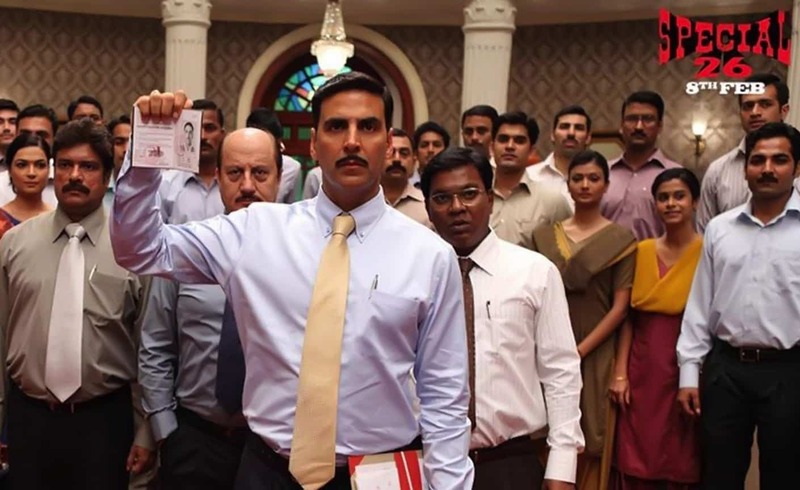 With Neeraj Pandey’s story and direction, his “Special Chabbis” or “Special 26” should deliver his same style of giving out information. Moreover this film is based on a real life group of con artists who pulled off many clever robberies during 1980’s. I’m happy to guide you through the review and make you conclude how the movie is. Storyline: The movie is set in the early 1980’s. Based on robberies during 1980’s and real-life daring heist dated 19-March-1987. I will tell you the most exciting part of the movie is …when Akshay Kumar cracks a joke and when you laugh at how stupid Anupam could get and when the Mantriji is slapped …actually, everything is exciting about ‘Special 26’ but, the movie is slow and too detailed. I wanted such an unexpected con caper to be fast and snazzy with lots of oomph, which sadly nor the newbie actress Kajal Aggarwal gives nor the cast. But, Akshay Kumar after some boring hum drum movies and too much slapstick comedies – gives you the reason why he is still in the game. A heist Drama Thriller or let’s say, Suspense (cause the ending is too good, so good that the audience stood in an ovation to applaud the special four) where Ajay Singh (Akshay Kumar) and PK Sharma aka Sharmaji (Anupam Kher) from CBI (nakli waale) raid a mantriji’s residence, which is one of their 50 many raids. Inspired by the real-life daring heist dated March 19th 1987 where the same group posing as CBI officers executed a daylight income tax raid on the Opera House branch of Tribhovandas Bhimji Zaveri in Mumbai and disappeared with jewellery worth lakhs. Since there is black money involved, no one dares to complain. So after every robbery the conmen walks away clean. When they plan the big takeaway of their lives – the CBI (Asliwaale) steps in and headed by Wasim (Manoj Kumar) are after the imposters to catch them in action while they con the biggest heist. Akshay kumar has always been an intelligent actor. He takes the cake, the baker and the bakery with this one. Anupam kher is a delight with his age and dialogues – he makes the plot lively. Manoj Bajpayee’s acting skills needs no introduction. 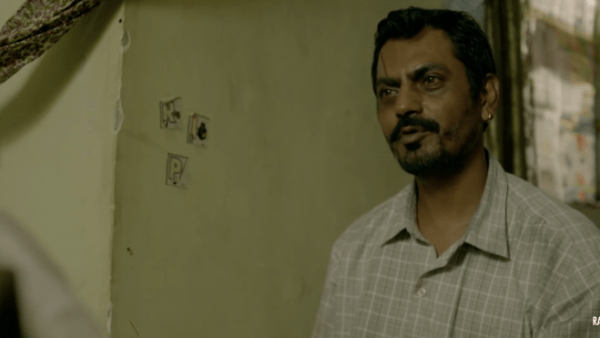 Though he isn’t as good as “Gangs of Wasseypur”, yet, he is up to the expectation. The other supporting actors and well, Jimmy Shergill are fillers. Which fills the movie completely to seal it out and deliver one of the enthralling movies to be made on true incident. 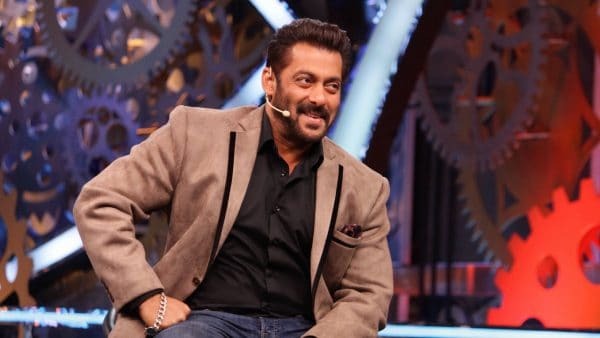 I was waiting for the song “Dharpakad” which caught my mind ever since I heard it with its fast jingle – but apart from that ‘Tujh Sang Lagee’ and the background score is awesome. They give you a break when you need it and when the raid is on full volume so is the ‘clap clap’ score with you mesmerized. Special 26 glides by with such effortlessness that it leaves behind no unsightly footmarks. No moral message, which we had truly dread as this wasn’t a ‘social’ movie neither a ‘life changing experience movie’ – the movie floats ones expectations. The screenplay is dull and the actress is not really cheerful and you just want her to impasse her role faster and let Akshay return to what he is made to do – Entertain Us! Neeraj Pandey has done an excellent job. Neeraj Pandey has proved his potential to emerge as the voice of the common man. Not a two time watch, but certainly a one time, which won’t be as exciting on DVD’s (for reasons that only Akshay Kumar knows), as in movie hall you need to watch this flick! The film should fly at box office to a relative success riding on content.